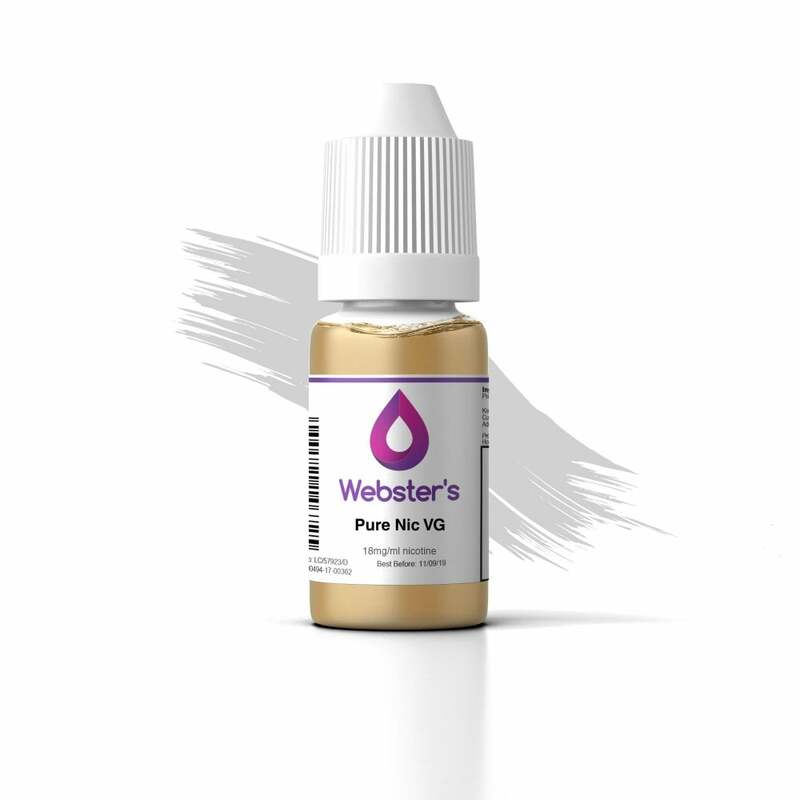 This Pure Nic nicotine shot by Webster’s One Pound Wonder can be added to a nic-free short fill e-liquid to give it a nicotine boost! Add this nic shot to 50ml of 0mg e-liquid to create 60ml of 3mg e-liquid. Webster’s nicotine shots are available in 18mg. Good nic' shots at a sensible price. Does exactly what you need it to. Would recommend! This nic shot is not only the best nic shot product I have used in all my time vaping but value for money is second to non hence why I buy mine in bulk as the price is so cheap. The best thing is that even though the price is low you do not lose quality with this either, it is by far the best nic shot product I have ever used and now all my vape buddies use this product now too. Perfect nic shot. does the job and is value for money to boot. Great nic shots at an amazing (and sensible) price. Recommended product!!! Good value and pours out relatively easily, some don't. Does waht it says on the tin. Really happy with this stuff. seems to last a long time and a great price with free delivery. Great service too, much much better than that i Liquid rubbish don't bother with them. This is the place you want to be.